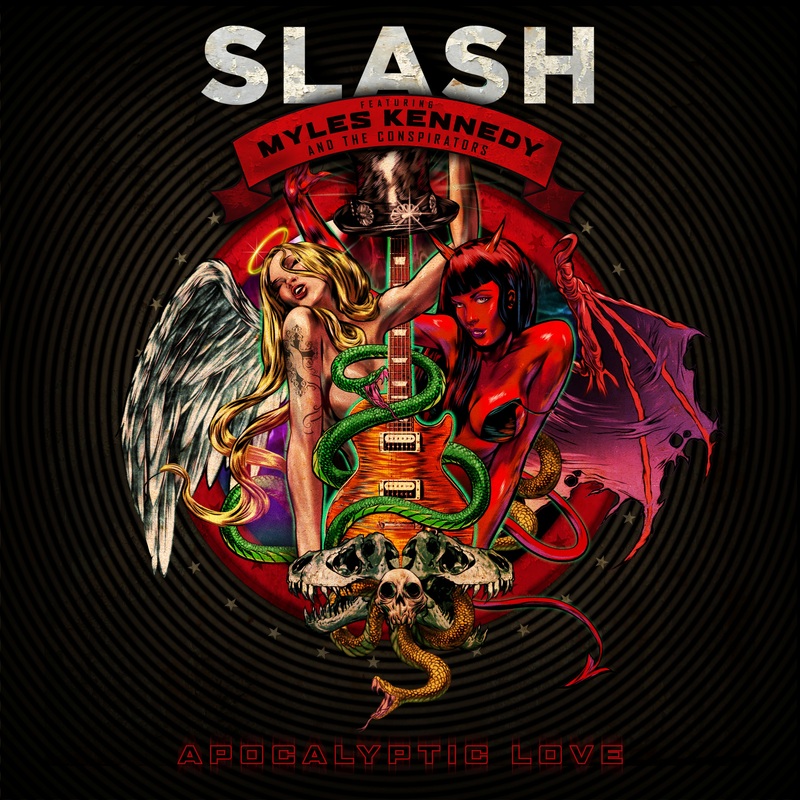 Featuring the vocals of Myles Kennedy, drums by Brent Fitz, and bass by Todd Kerns, legendary guitarist, Slash (aka Saul Hudson), released his sophomore solo-effort, Apocalyptic Love, on May 22. Unlike his previous effort, no guest vocalists, apart from the work by Myles Kennedy, feature on the just over 54 minute hard-rock album. Eric Valentine, famous for producing Smash Mouth, The All American Rejects, and Good Charlotte,returns behind the sound engineering board. Classic ‘90s production is in effect, with heavy, catchy riffs and solos by Slash, played through cranked Marshall amplifiers. However, it is Kennedy’s vocal range and ability that steals the show from the guitar-layered wall of sound. From high falsettos to low growls, his voice captures more than what most artists are able to achieve in a particular range. However, as the tracks progress, the guitar work becomes monotonous and stale. Most guitarists will see their Slash appreciation faltering. Still, the album is sure to please rock and guitar fans in search of a flashback to the ‘90s.